﻿ Wangpla Villa Resort, Nakhon Sawan | FROM $16 - SAVE ON AGODA! "This must be the perfect to you ,especially lovely staffs wh..."
Have a question for Wangpla Villa Resort? "The bungalows are cozy - and the rooms were clean." "First time for my family and I. 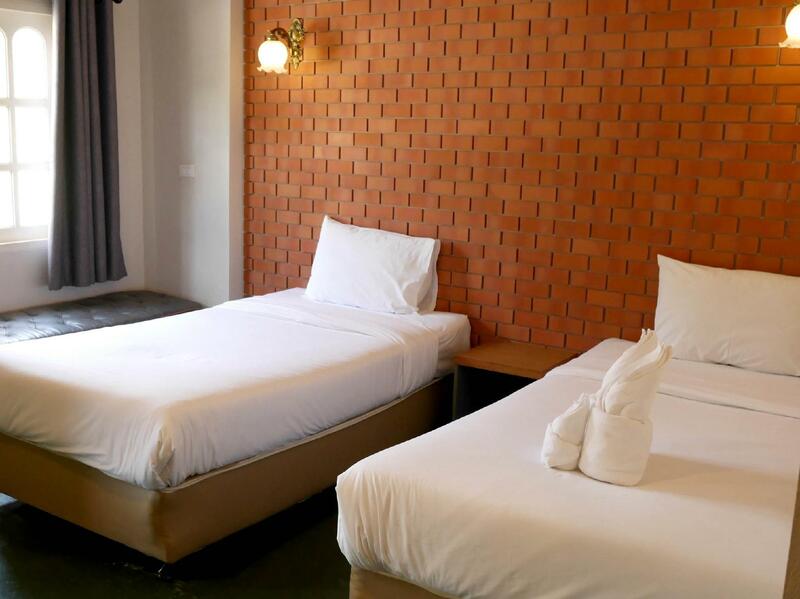 The woman at reception was w..."
Conveniently located in Nakhon Sawan, Wangpla Villa Resort is a great base from which to explore this vibrant city. The hotel lies 0.5 KM from the city center and provides accessibility to important town facilities. With its convenient location, the hotel offers easy access to the city's must-see destinations. The facilities and services provided by Wangpla Villa Resort ensure a pleasant stay for guests. To name a few of the hotel's facilities, there are free Wi-Fi in all rooms, 24-hour front desk, Wi-Fi in public areas, valet parking, car park. Guests can choose from 15 rooms, all of which exude an atmosphere of total peace and harmony. Whether you're a fitness enthusiast or are just looking for a way to unwind after a hard day, you will be entertained by top-class recreational facilities such as garden. 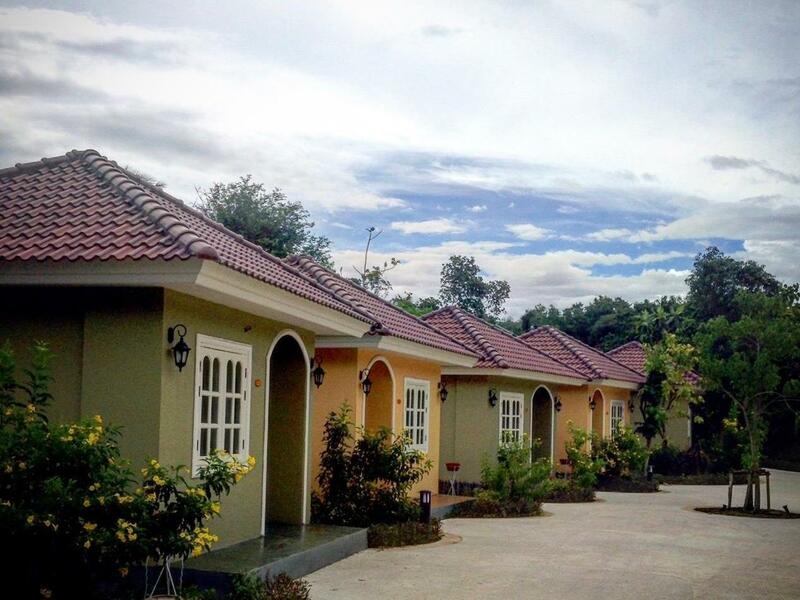 Wangpla Villa Resort is an ideal place of stay for travelers seeking charm, comfort and convenience in Nakhon Sawan. "Was a great pit stop to rest at night." For the price really good. Very friendly, very nice style of the houses that you sleep in. The only problem was the shower. The water didn’t flow out because it was full of hairs in the drainage so we cleaned it on our own. Pros quiet, clean, helpful warm team. Very good value, good food at very fair price, parking easy Cons only one and not end of world bed a little hard for me. First time for my family and I. The woman at reception was wonderful and spoke great English! The bungalows are cozy - and the rooms were clean. There was nothing hugely outstanding but it was just nice. The food at the restaurant was the Thai-side of Western food but was solid. I would order extra fries with your steak! Will definitely stay again. We had good time there, the room is clean and big.The reception lady speak good english, it is easily to communicate. The restaurant is really good, reasonable price with good taste, we had dinner and breakfast at the restaurant.We will come back for sure. This family-run resort is a place to check out. Great for the weekend or a long stay. I was welcomed with a nice smile and a "wai" from Fon, the frontdesk staff at the entrance. Nice cute little cottage-like dwelling and a well planned area makes one feel very "at home". The staff were just great with the owner personally taking time to see that my stay was comfortable. Simple yet tastefully done. Rooms are clean and yes, the pillows are soft. :) The frontdesk staff, Fon even pulled out the extension cable that lit up the hotel frontage to lend me as I left mine at another hotel the day before. Talk about hospitality! If you ever make your way to this place, say hello to Fon for me. The owner, Luna and of course Aw Aw the fat, lazy, friendly hotel cat. Oh did I mention the great coffee served at the reception pantry area? The resort offers budget bungalow style rooms that are very clean and coomfortable. The staff are excellent especially as they speak such good english and they are really helpful, Good for an overnight stay or a few days if you want to explore the area. Stopped over here for one night enroute to Chiang Mai from Bangkok. I was driving our stuff up from our studio in BKK to our new home in Chiang Mai. Was a great pit stop to rest at night. Good food and clean room. My second stay in Wangpla Villa Resort, and we would certainly book again on our next trip to Nakhon Sawan. The chalets are excellent, with large ensuite, comfortable beds, refrigerator and flat screen TV. Very clean, serviced daily,and the staff were friendly and helpful. We availed of the restaurant,and the food was of a high standard and reasonly priced. The complimentary coffee was excellent. Basic small standalone villa in a nice setting with flowering plants and trees. The property is located a short distance from the main motorway and is easy to find, although on a bit of a major road with some truck traffic. The real standout here is the restaurant which provided excellent food for both dinner and breakfast (note that breakfast is not included in the price of the room). The food was far above what was expected for the class of hotel. Good parking area. Nice, friendly staff and clean rooms. I stayed for one night and it was really nice the little buildings are cute and in nice gardens. Inside the room it is nice and cool and comfy and clean. It was a bit hard to find at first. They have a cafe but they do not serve any vegan food but the owner of the place personally drove me to the supermarket and also gave me the number of his friend in chiang Mai in case I needed help when I got there. He was really kind so thankyou. Great service, great value for money and comfortable bed. My family and I really enjoyed our stay at this resort. It is well located close to the city, but very quiet and relaxing as a resort should be. We was very impressed with the great and friendly customer service and would not hesitate to stay at the resort again. It is perfect for a stockpile of all when traveling from Bangkok to Chiang Mai and serves well to break up the trip. The TLC that has been put into creating and running the hotel. It is family owned and run. The owner couldn't have been more engaging, helpful and on the ball in terms of our needs. I would recommend the hotel. It is a good location for using as a base (if you have a car rental) to landmarks. There is plenty to see in Thailand, and the hotel was very well priced. I also enjoyed chatting to the owner - she was very personable and hospitable. We enjoyed our brief stay there, and would stay again. This is a great place to stay. I'm surprised there aren't more reviews, but I suppose they just opened. The bungalows have adequate space, plenty of surface area for belongings, and was clean. the service was excellent. The food was delicious. The location was a bit out of the way, but I had a motorcycle so this wasn't a problem for me, but could be for other travelers. Nevertheless a great place. It was the third hotel I checked that afternoon. Thank you Wangpla Villa for the last night of my trip. Nice room with some generously reception. I stayed only one night staff was very kind also good food and room very nice and clean. Toilet & room clean. Staff English speaking & helpful.